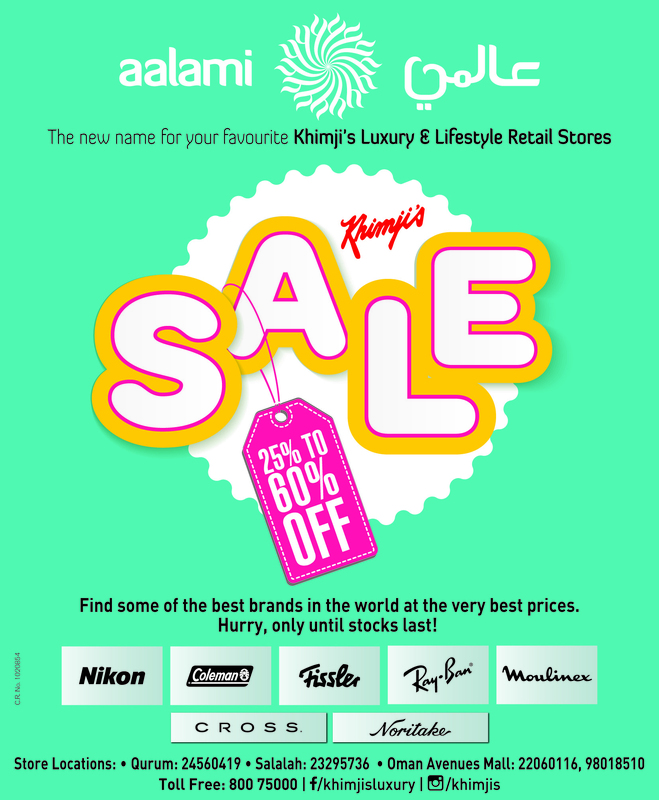 Khimji’s Aalami Big Summer Sale is ON – Grab & Share this Offer! HE Shaikh Ibrahim Bin Yahya Al Rawahi inaugurated the store 4th Ooredoo store @ Al Mabella, Muscat. He was joined by senior members from KR and Ooredoo. The new Ooredoo store offers customer with recharge cards, sim cards, home broadband, bill payment, indoor and outdoor LTE. Aalami Sale is now ON, up to 60% off.!! Have an amazing experience of camping by the beach. Get Coleman lanterns for camping. Aalami SALE is now ON..! !